Pruning shears maintenance is a must. We all tend to neglect our equipment, whether it's our mountain bike, our fishing rod, or our paint brushes. There is only small group of very special people who take care of their stuff and maintain their equipment regularly. I have to admit, I'm not in that group. I often forget to maintain things, or just procrastinate and leave it for later… which never comes. But, when it comes to pruning shears maintenance, I’m meticulous. I'm not only in the ‘special people’s’ group, I lead it! And it’s not because I'm a crazy shears collector. It’s because I’m scared to hurt my own plants, my garden. So, here is a short pruning shears maintenance routine you can follow, which will ultimately help to ensure the health of your plants. It takes only 3 - 5 minutes, and you can think of it as exercise – not so much fun while you’re doing it, but makes you feel better later. And I promise, every time you go out to prune, you'll thank yourself for having done it. Yes, like anything else you clean, you need water, and don't be scared to let it flow. It doesn’t matter if these are your most precious, or your most expensive loppers they all need a descent wash. 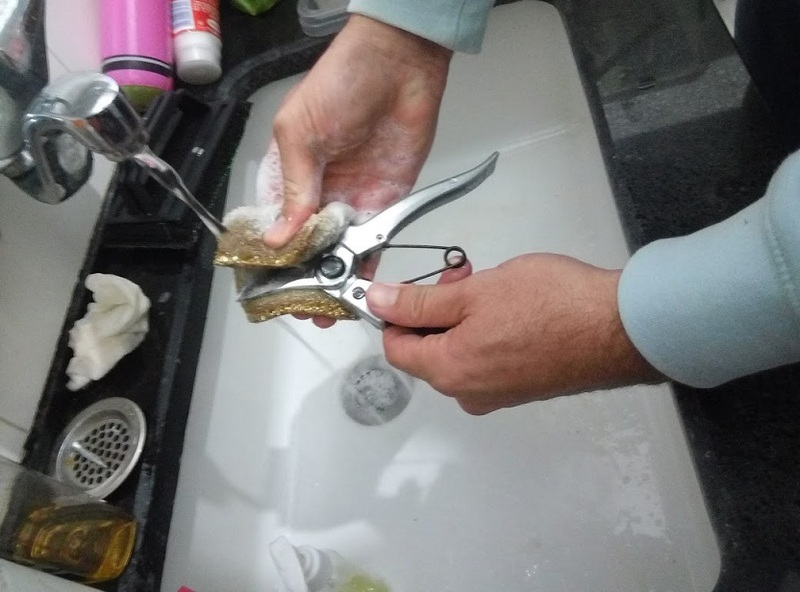 If you own good quality shears then it most likely that they are made of stainless steel, but even if they’re made of a simple metal, after pruning run them under hot water. And relax, they won’t rust – we’ll get to the alcohol later. First, wash, scrape, and use regular dish soap. My general rule on this is: better to have damaged pruning shears, than damaged, diseased, or fungus filled plants. Got it? Good. Let’s move on. After washing and scraping towel dry the shears and leave them untouched for 30 - 45 minutes – so they can really dry out. Next use cotton wool soaked in a little alcohol to clean the blade and anvil. Finally, (and this is my professional secret I’m letting you in on..) a little lubricant. 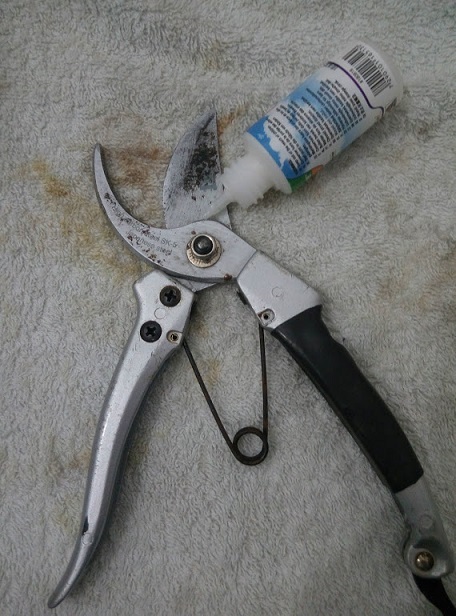 I have been mountain biking for 12 years, and one of my best discoveries was that I could use the lubricant I use on the chain of my mountain bike on my pruning shears. Yep, that's right. You can use a special lube made for pruning shears, but i started using my bike lube and haven’t looked ack since. A few drops on the moving parts, wipe down with a towel and I'm done and ready to prune again. See all the pruning shears in the picture? They are all mine J and don’t worry, I have more. And yes, I taking care of all of them. 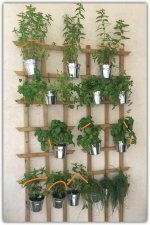 Although I only use 3 - 4 on a daily basis, they are all in good shape and they all serve me and my garden on different occasions.